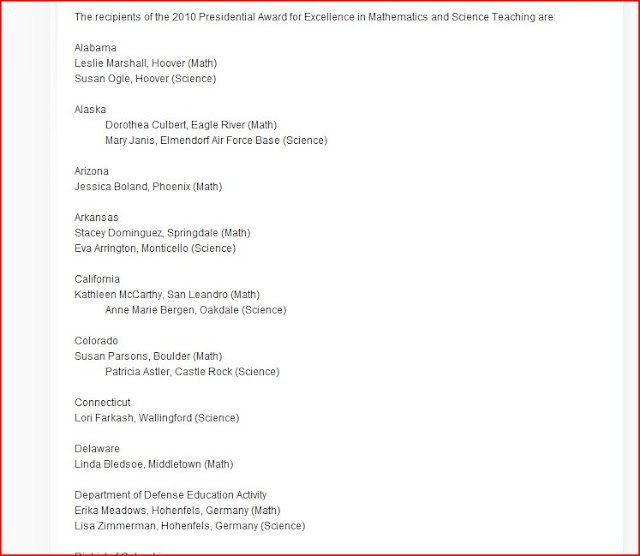 The White House has announced the 85 names of Outstanding Math and Science Teachers! Yes! This is wonderful. What it really is -- a missed opportunity to truly improve STEM education by networking. By letting you SEE what they are doing. What they should have included? A twitter list of those who twitter. Already made for you. Every name should be hyperlinked. Every name. We should be able to find their school and information and even their classroom without having to search. Links to their application and portfolio. An RSS feed that allows you to follow all of them with a click whether through a reader or something like Flipboard. As it is, this lovely press release which is making the rounds is dead. It is a list of names of living breathing teachers doing amazing work but dead because it has no living hyperlinks to enrich us. I should think better coming from an administration that is so tech savvy. And yes, I teach my students about dead text. Dead text where it should have useful, contextual links is irritating and rude. This list BEGS for more. As a matter of practice, all lists of people should include hyperlinks. That is, of course, a person doesn't want to have a link and chooses to opt out. Awards should be intended to reward best practice and disseminate it further. Another private communication website for younger kids and teachers to link as well as parents. Looks like a cool tool. 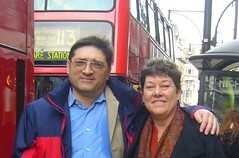 Julie with our dear friend Terry Freedman from the UK. Just up on the ISTE website, my dear friend and Flat Classroom co-founder, Julie Lindsay, is now an ISTE board member. Thank you to everyone who supported her run. And most of all, thank you to Julie who let herself run again. This was her third run. Most people give up after the first time. This is certainly one thing that characterizes Julie - she never gives up and persists. How would your life be different if you just did something ONE MORE TIME? Thank you to the network of Tweeters, bloggers, and teachers. Although this means I'll see less of Julie, I think that she will do great work on the ISTE board. Toni Olivieri-Barton talked about this cool website in our Flat Classroom certified teacher last night. Mobile devices are an important part of deploying knowledge and content delivery. This system is relatively inexpensive and not only uses an app but can link to sms and interactive voice response in countries without a lot of access. Exciting potential for this one. One of my students is using what he learned in marketing to market his dad's service station on Facebook and now through a blog. He already has 79 likes! This student gets it. It is great when they take knowledge and internalize and use it. This page is starting to get quite a bit of attention and talk in our community. Google Docs is increasingly becoming a powerful file management tool with many new ways of uploading. It is very important as you upload more files to use tags and folders (color coding is great) to keep things organized. Folder Upload lets you upload whole folders to Google Docs. Optical Character Recognition option for images. This means that the text in your images will become searchable but also editable. So, that old letter your school uses from 10 years a go doesn't have to be retyped. Tip: Always check OCR converted docs. Sometimes text doesn't convert properly. Drag and Drop Upload using Chrome, Safari, and Firefox on the PC or Mac. Of course, Google is selling additional space for $.25 a GB should you run out of your 1GB of free storage that comes with Google Docs. This still isn't as easy as dropbox but for most purposes for my students it is helpful. If you use Google Docs or support it, you must follow the Google Doc blog. Set up folders of commonly used files at school. But remember, once they are there, if you use Google Apps for domains you can turn them into templates that you share with your school. Templates are very useful and keep people from editing the original. Teach students to keep a copy of their term paper or other important document backed up in a backup folder on Google Docs. Playing with Flat Classroom conference on Vineme. Recommended by Angela Maiers - I'm still learning about it. It is using regular tagging AND time tagging. Flipboard is a phenomenal reading app for the ipad and was the big reason I begged my family to give me one for my birthday. However, because so little content is really produced FOR the flipboard, you have to know how to add it. You only get two screens of content (for now) so use it well. To follow these instructions, you'll need to download Flipboard onto your iPad. Before we begin, let's take a look at screenshots of my two Flipboard screens. The sources of information are printed in the top left corner of each board. Before we get to the reading part, you can share content within Flipboard. What you can do depends upon the content source. If you're reading from Facebook, your like and comment buttons show. If you're reading from Twitter, you have retweet, retweet with comment and favorite. Google reader gives the sharing features available in reader. The Add a section button is shown beside the arrow. To add content, you just click on the blank gray square on your starting screen that says Add content. Admittedly, I've deleted over half of what I've added as I've played with Flipboard. If the content isn't updated or not quite right, it isn't usable. For educators, I'll recommend the educator link or item. For non-educators, I'll give pointers on how you can find something similar in your professional arena. 15 Fantastic Use of Flipboard. There are many now who are unfollowing on Twitter en masse as they try to improve their "Klout" score, however, I want to follow just about anyone in education and especially teachers. There is a certain random beauty that emerges from this and I "drill down" to my friends by using lists. It is all about why you Twitter but Flipboard makes it easy to read whatever your motivations or reasons. How to add: Click Add and add an account and set up your Twitter Account. So, if you follow a LOT of people, you can also slice this down to a smaller group by making a twitter list. You'll have to publish it and then subscribe. If it is public, you'll need to know the name of the list but if it is private you can make a list of your closest friends and follow that way. How to add: Search for the name of the twitter list (it must be public) and then scroll down to the "Twitter Lists" section if it is for someone else. Otherwise, after you've added Twitter, just click on Add Section and click Twitter and then you can add your own lists. My favorite Twitter based flipboard magazine for educators is from #edchat. Just type #edchat in the search and scroll down to follow the hashtag. If you are in another field, you should look at the common hashtags in your field. When you attend conferences, you may want to have a temporary Flipboard "magazine" for that hashtag. (like #iste11). #edchat hashtag on Twitter is one of the best feeds to compile on Flipboard. How to add: Type #edchat (or any other hashtag) Scroll down to the Twitter Search Section and subscribe to "tweets mentioning #edchat"
You can follow tweets mentioning you, saved searches, your lists, lists you follow, lists following you, people you follow, and people following you! So many things. My advice is to be strategic. Your Flipboard should meet a need and should evolve. How to add: After you've added Twitter, click on Twitter after you add a section and then select what you'd like to add. Subscribing to all of your google reader will bring everything mixed together. It makes for interesting reading and customized magazine of sorts. How to Add: Click Add Section and then add the network and subscribe to it. I have a folder called @hotlist that includes the blogs I want to make sure that I read almost every day. This is on my flipboard. I also follow a folder labeled @freecoolstuff that includes some RSS feeds that scrape information about free things for educators and my classroom. How to add: Click Add section and then click Google Reader (if you added it for #4 above) and then click Subscriptions. You can then pick a folder in your google reader. If you don't have a folder, you'll need to go to http://reader.google.com on your web browser and set them up. I subscribe to the Flat Classrooms ning to pull out current content. I'm still working on this as I'm not sure how the RSS is coming out of the Ning - sometimes it has older things. How to add: Click Add Section and then type in the URL - this one is http://flatclassrooms.ning.com - Again, I'm working on this one. You could also use the specific RSS feed for what you want to follow on that topic. I am learning about how things deploy into Flipboard, so I follow my own blog. If you blog, you follow yours. 9 - Any school or classroom blog that is published publicly. I subscribe to my school's blog at http://westwoodschools.blogspot.com to follow the content and to show parents how it is done. I plan to write a blog post to show them how as it is so easy to read school news that way. I also have http://digiteendreamteam.blogspot.com a blog run by some of my ninth graders. This is a great tip for administrators who are nervous about their students producing public content as it is easy to read and respond. How to Add: Type the URL in flipboard and subscribe. How to Add: To subscribe, I typed in educators and diigo and then it found the diigo group. The group must be public. The alltop education resource is one of the best. Founded by Guy Kawasaki, if you are in education, this is a must add to your flipboard. There are alltops in many subjects - go to www.alltop.com. Great flipboard content. 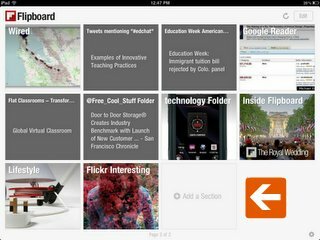 Frequently updated resource sharing blogs make excellent flipboards. Stephen Downes is in this category for me. I want to read pretty much everything he links to because it is a wide variety and "he can't be bought." I typically don't subscribe to advertising-type blogs in this category because I've found it gets cluttery. How to Add: Type in the URL or search for the person's name. Add Facebook and Follow everything that comes through your network. How to Add: Add a network and then subscribe. How to Add: Add a network and then click Facebook and choose "Photos of You"
You can drill down facebook in many ways. This is great for school who want to have a Facebook page but need to keep an "eye" on things. How to Add: Click Facebook and drill through the menus. There is more there than can be added to a flipboard. You are a human being bounded by finite time and attention spans. You are not infinite so you must focus your energy in ways that pay powerful dividends. If a Flipboard isn't useful, delete it. It is better to have 3 useful boards than 2 screens of things that distract you. For that matter, if you hate Flipboard, delete it. Any device no matter how useful can be a productivity killer if it becomes the master and not the servant. This is your life. It is your job to have the self discipline to focus your time and energy on what is important to you. "It's my life. Now or never. I ain't gonna live forever. I just gotta live while I'm alive." Life is changing rapidly as we replace desktops with tablet and mobile devices faster than most can comprehend. Look for the tools and things that add to your life. If it doesn't add to it, delete it. This is your life! I think Flipboard adds to mine! Enjoy! I found this copy of my youngest son's hand on my desk in the office this morning. I'm running to get dressed in time to make it to school so I can get grades in the system for progress reports. It made me smile. As we watched the amazing golf classic, the Greatest Game Ever Played last week, we talked about the power that the 10 year old caddy had on the golfer with his amazing optimism and encouragement. As I read Merlin Mann's beautiful post over the weekend, I see how his baby daughter has squeezed some of the most amazing music out of her tough Dad. My family is my hand. They give me a hand as they love, hug, and accept me. May I never place any technology or anything above them for the time is fleeting. I cried Saturday as my sixteen year old borrowed the car for the first time. Praying for God to bring him home and struck with the idiocy of myself that I never understood the tough-ness of a parent letting go. Holding that baby in your arms and nursing them and waking up - that is tough. But watching my 6'5" strapping 16 year old drive out of the driveway -- that, my friends was heart rending. Raising these kids. It is is my life. It is my love. It is important to me to be kind to them every day. I want them to know that I love them because I won't last forever. They won't either but they'll probably last longer than me. And when they do and the only remaining parts of me are living in their minds I want them to know that I loved them with a fire and verve of one of the greatest love stories ever told. That of a mother to her sons and daughter. That of a wife and husband who are in the throes of agony as we work through raising our teenagers. And yet, they give us a hand. The question is - when we are gone will they give us a hand? Will they be glad for what we left? Will we have "done right" by the future generation? For whatever hand we give our children is likely to be similar to that they give their own. Hands move through generations. As you ponder today, ask yourself what kind of hand you give your children? Is it one you are proud of? Like most of us, it probably isn't perfect. You can probably do better. Write down one thing you can do tonight to be kind to each member of your family. Go home and do it. Here are some "presents" to you from this year and some of the best blogs of the past that are still giving inspiration to many. This is a good list but instead of the IRL requirement for friending - I do think that those they don't know IRL need some verification. We've seen people lose their job over Tweets and we've seen them get jobs through Tweets. We've seen marriage proposals and divorce notifications. We've even see Charlie Sheen earn six figures for a tweet. Now, we might just see the balance in someone's bank account change as political tweeters in Canada openly plan to disregard the election "Twitter blackout" law and could land themselves with a 25,000 dollar fine. Canadian officials plan to enforce a 73 year old law that slaps a person who "prematurely releases election results" with the penalty.Originally intended to keep voting in the east from influencing that in western Canada by not allowing the "transmission of election results" across time zones, critics say this was created before social media. Canada has six as the world's second largest country. #tweettheresults hashtag was in use by yesterday afternoon and some are planning a "Tweet in." I guess the question is - what is premature? If someone is standing at a courthouse and a government official announces a result and yet it hasn't gone online yet -- is that premature? What if a candidate has just been told by an elections official that they won and tweet out a thank you to their followers? What if they email it and a person they email to happens to be in western Canada at the time? Twitter is so lightning fast and connected to so many people, I guess this example begs to answer - what is official? What makes a tweet "premature?" Don't candidates hold press conferences and thank you events after the results are announced - do they have to wait to hold these in the east until the polls close in the west? Aren't these covered on TV already? What if someone live streams it? 2) How does this impact "the scoop?" Traditionally a quick tweet gives you a "scoop" and that is a good thing for many in political arenas. 3) Can this be enforced? Hypothetically, Canadian Tweeters could learn from our Chinese friends and install a nice proxy software like Astrill, set up a new email and new Twitter account and just tweet from that. Then, others would just retweet it. Would retweeters be punished too? What if a person INSIDE Canada has a friend in the US or Europe, for example, and gets on skype and tells them the results and THEY post the tweet without the permission or knowledge of the original source inside Canada? Is Canada going to lock down all electronic transmissions in order to enforce this law? A complete technology blackout on election day? 4) If they COULD enforce, HOW would they? Would a whole "Twitter enforcement bureau" need to be set up? 5) How should this law be written? Should polling change? It would be interesting to draft the law as it SHOULD be written to incorporate social media impacts and this valid concern of keeping poll rates high in the western part of the country and letting everyone's vote count. Should polls open earlier in the west? Should polls all have the same times across the country? The law was put in place for a reason - assume the reason is still valid, how would this look in the age of social media? It would be a fascinating live journalism experience to have students follow the #tweettheresults hashtag and what is happening to understand the impact? Would such an experience actually "do the research" for those in Canada planning the fines and harm those who are speaking out against this law? Would the methods used in your research be emulated by others who are using social media "enforcement" to stamp out rebellion? Would you tweet if you knew it would cost you 25,000? What if you knew the technologies put in place would change the outcome of social media used in protests in other countries? Students learn more from tearing apart current events than a two hour lecture about abstract tasks. If you teach subjects that hit on government or participatory media - I challenge you to "get out of the box" and find some neat ways to tear this one apart. If you do it, please share your thoughts/ blogs / lesson plans with a link below! I wouldn't put it past super blogger Stephen Downes to buck the system on this one just to see it done. Hey, Canada, on May 2nd, the world is watching. Are you going to pioneer the use of tools to enforce this law that could be used by more repressive regimes? Earth day is Friday, April 22nd (the day this posts to my blog.) Get involved in the billion acts of green. "Successful, happy people have good habits that are life enhancing." What You DO Makes YOU! Draw a line down the middle of a page. Make a list of the things you do EVERY day or almost every day. On the right side, list the end result of a person who does that every day. Spend time talking with my spouse --> I know my spouse. Eat a DQ Blizzard every day --> Gain weight. Lose my temper every day --> heart attack. sit on the couch and watch TV for 5 hours every night --> weight gain, lack of sleep? What you DON'T do makes you TOO! Make a list of the things you don't do in your day. What is the result of NOT doing that? I don't smoke --I can be healthy. I don't spent time with my children. --> They will not talk to me. I don't exercize. -- I will shorten my life span. We all have traits we like and those we don't. But we have a lot more control over our lives than we think we do. Tackle one habit for the rest of April. Set an appointment for when you will do that habit. 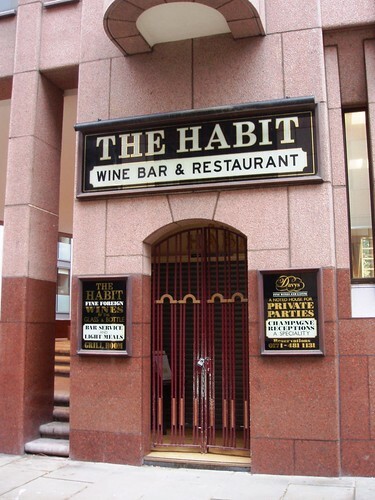 Read about how to accomplish that habit. Decide that you are going to put that into your lifestyle. Last month I decided I would make sure I get up every morning at 5am (I had been but my morning was unstructured.) I have quiet time from 5 am - 5:45 am and then 5:45 - 6:30 am - I blog. After an "unexpected surprise" this week, I now "balance checkbook" before blogging. I balance my checkbook every morning before I blog - which usually only takes 3-4 minutes but makes a big difference in my life. These are the habits that shape my life and are improving it. If you want to improve your life -- look at your habits. Habits are hands that shape the clay of your life into a work of art to be admired or a big mess fit for the trash heap. Focus on the habits and you shape your destiny. "The Turning Foundation, a non-profit 501(c)3 organization, in partnership with NBC Learn and Turning Technologies today announced the Spring 2011 Classroom Improvement Technology Grant. The goal of this joint effort is to help educators develop 21st Century classrooms and improve achievement by providing effective, engaging technology and professional development tools from multiple industry leading companies. Grant applications will be accepted from teachers in grades 3 – 12 who are currently teaching in an accredited, non-profit, public school building in the United States. Ten (10) classroom awards estimated at $3,500 each will be distributed. Each will include student response technology and subscriber access to NBC LEARN K-12. " This stuff is amazing. Ideapaint. "For every 50 square feet purchased on IdeaPaint.com the week of April 17th, 50 square feet will be donated to a school of the purchaser’s choice"
A little bit pricey but think about getting rid of boards of all kinds. Put it in conference rooms, etc. I am thinking about putting it on my wall at school. fourth grade teacher, Kimberly Powell, who is looking at global economies. Contact her here if you are interested. The Flatclassrooms Ning is becoming a place where teachers find each other. The group is small enough that it is really made up of those who are serious about collaborating. This is an example - although it was some time a go - join us and see if you can find projects like this. Approving people in spaces takes a bit of time. It is so important to know that when you ask to join a wiki or Diigo group or grouped on Linked in that you let the person approving you KNOW why you want to join. If you don't, you force the person approving to go through and look at your profile to determine if you are a spammer. Sure, a spammer can lie, but usually they just don't put why! "Vicki, I heard about this group in a Diigo presentation you did at ISTE last year." BANG they are approved immediately. But if they put nothing, I wait until I have time which is usually once a month for the Diigo educators group. If you are upset that you're not getting approved to join things more quickly, maybe it is because you aren't identifying yourself and why you want to join. People who identify why they want to join a space are showing good citizenship and technology savvy and are the kind of people that are wanted in communities. When my students join the wikis for our projects, I require that they put a comment when they ask to join. This is good netiquette. This is one reason why I don't set up wikis for professional development ahead of time - or at least I don't issue joining invitations. I WANT those in the room to see me approving and I want to mention specifically those who comment when they join and show how it looks on my end. I do this with my students so they will learn the netiquette of joining. Will You Unwire for a Day? Please issue the challenge and take our survey. I have two very amazing young men looking over my shoulder as I write this post. They have a challenge and some questions to ask you and your students. We are looking for people and students who are willing to UNWIRE for a day. That's right. One whole day! Now, if you need to use technology for work/school that is ok. But, besides that we want your cell phone off, your xbox off, and even your TV off for a day. Are you and your students willing to take the challenge? Why or why not? Either way we want you to fill out our survey! They would like as many people as possible to take the challenge and fill out their survey between now and next Monday at 8:15 am Eastern. If you're NOT willing - go ahead and fill out the survey. If you are willing, come back and fill out this survey AFTER you have completed the challenge! (even if you fail) What do you think your students will say? This is part of our Digiteen Action project. Feel free to copy and paste and send this home. Excellent post from Sue Waters about writing better blog posts. 24 free kindergarte apps from kindergarten.com Download all 24 of these apps. (From The Edcational Technology blog) by jonathan Wylie. I love my livescribe pen and agree with this review even if it is posted on the Livescribe website. Free iAdvocate app to help parents who have children with learning disabilities advocate for them. It is a start and worth testing. Plus it is free! New Mobile phone app from Alan Foley of Syracuse University - called iAdvocate designed to help parents advocate for their child with learning disabilities. Ecellent blog post on the use of QR codes in nonprofits from social media nonprofit guru - Beth Kanter. Tons of potential here! This would be a great area to review and then have students invent their own. Google video. Delicious. Now yahoo Buzz - their "digg" site. what else? Great things have come out of the national writing project. Their research is wonderful and many of them have taught me a lot in the hallways and byways of conferences around the world. It is a shame to see this go. Read more about this project so you can share your 10cents with congress - that is all it would take per child to keep it going. Donate your "old" generation 1 ipad to schools through apple. Apple suing samsung over galaxy! With the iPad 2 in dwindling supply because of the components made in the affected area in Japan, I guess apple is trying to keep others out temporarily while they are rushing to find another supplier. Another book review from one of our 8th graders. We are looking to add some more schools over the next few months. Fill out the info form on the bottom left of this page. This is a great website for finding books that kids like. Free iAdvocate app to help Parents Advocate for Students with LD's. The free iAdvocate app from Syracuse University (announced today) may just be the future of learning and helping parents advocate for their children with learning disabilities. If not, it is certainly the future of successful, useful grants to universities. What could be more useful than releasing free apps to help learning? It reminds me of the math app I blogged about a while back that is being given free by mobile carriers in Denmark to improve math scores. 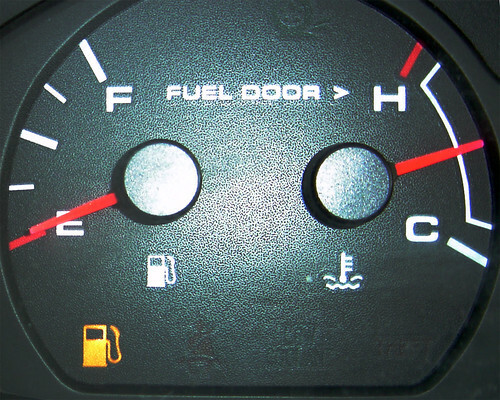 Like a gas tank running on empty, we teachers who give too much without refilling our tanks can start sputtering and stopping during the long haul of the last six weeks of schools. Dickens' "these are the best of times, these are the worst of times" are never more true. Let's contemplate the things that help us stay motivated, excited, and high performing during the last few weeks of school. 1 - See Long Term. What are the things that if I do not address that someone will say "why didn't someone ever teach __ that?" Blessing takes many forms. It can mean speaking well and lifting someone up but making something up is lying and that is never a blessing. Take the two types of things we found (areas for improvement and the things a student does well) and turn it into a blessing in the form of lesson plans, life lessons, AND encouragements. Today in my classes, we'll take time to read and discuss an article from the New York Times about the 5 Habits of Highly Successful CEO's as a life lesson. Sometimes drawing the line in the sand and NOT "giving" a child a grade is the blessing the child needs to learn the hard lesson now. The world is full of kids who grew up having things given to them in school and they wonder why they can't keep their job only showing up 4 days a week and giving a half effort. 3- Being "Battle Hardened" is Good. As I read the New York Times article I mentioned, I had to laugh that "battle hardened" is listed as a habit of highly effective CEO's because that is the same with teachers. Why do so many teachers quit during the first 2-3 years of teaching? They think it is going to be easy and they probably make the decision in the spring when they are going to be worn out. Good teaching isn't easy! We lay awake at night upset about kids. We think about them, pray for them, get angry at their parents, etc. Teachers are on the front lines of a war against the decivilization of society. See problems as learning opportunities for both the student at hand (see #1) and the students watching. Never give away your nobility by acting in ways that demean your profession (we all have ;-( ) and if you feel yourself tired or losing it with a child - put measures in place to help you deal with the triggers by enlisting another teacher or administrator. 4- Being "set in your ways" is not. The good teacher knows that there are new horizons not explored and sets an example to her students of an explorer who has just begun the journey. Don't try to be cool. If you are, you are. Most teachers worth their weight in gold must wait to be thanked until their students strike gold. When students see they are masters of knowledge and how to acquire that knowledge they will thank you. If you get it early, count yourself fortunate. 6 - Be Realistic About Short Term. Look hard at the school calendar to note the events and activities that will serve as a distraction. Good teachers study human nature. They time tough lessons when kids are ready to learn and tweak pedagogies based upon the emotional and physiological needs of students. Sometimes, teachers look back at #1 and know that teaching kids to do tough tasks when they are tired is a good thing. The good teacher knows when to do which! Show me a teacher without rest and I'll show you a powderkeg waiting for a match. Every 90 minutes you need a break according to one of my favorite books, Way We're working Isn't Working . Walk outside. Talk with a friend. Get up from your desk and disconnect. It is counter-intuitive that rest sparks increased productivity but the research bears this out. You have to intentionally plan breaks and times of rest. Staying up more than two nights in a row past midnight grading papers is asking for trouble. 8 - "Sometimes You Gotta Let the Rough End Drag"
Granny Martin was a smart woman and I miss her every day. In May, I write this on a note card on my fridge to remind myself I don't have to be perfect. During the last month of school it is best that a teacher lay aside hopes of being polished, poised and perfect and know that it will be a bit crazy and chaotic. The things that should never drag are the safe, respectful environment built for students. To keep it respectful at school, you might have to let the laundry go at home or bring home pizza once a week. It is OK not to be perfect, especially if you have a hungry brood of your own at home waiting to be fed every night. 9 - Laugh and Learn. He who laughs, lasts! If you can't laugh and enjoy the kids sometimes, why teach? For most of you, standardized testing is almost over. Do something fun. Plan a lesson packed in learning AND enjoyment. I have three boys in my noon study hall: Camel, Knee Knocker, and Squirrel. (yes, those are my nicknames for them) They work, I work, but we laugh. I'm not their BFF and am tough on them in class but I enjoy seeing them come in my room b/c I know they will keep me young. 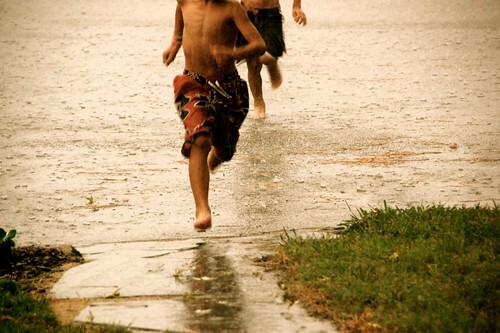 When you are old you will remember the laughter and learning. When you think back on the school year, you'll always remember how it finished. Finish well and with the honor, nobility, and sense of humor deserving of your profession. To all you amazing teachers out there - you are the heroes to a generation that sees you as their present enemy. Do right by their future selves and know that their present selves may have to disagree with your intent. Our job is not to be liked or loved, although that usually comes with the territory of being good at what we do - it is to teach. Remember your noble calling, teacher. No one can take away the nobility of a teacher except the teacher herself.